How does Time To Pet Compare? Need new pet sitting software and trying to decide between Time To Pet and Bluewave Professional Pet Sitter? We’ve built this guide to help understand some of the differences between Time To Pet and Bluewave. If you have any questions - please feel free to contact us! Time To Pet makes it simple for your clients. Your client’s have a clean and simple experience in the Client Portal as well. Requesting services, updating their information and making payments happens exactly as they would expect. 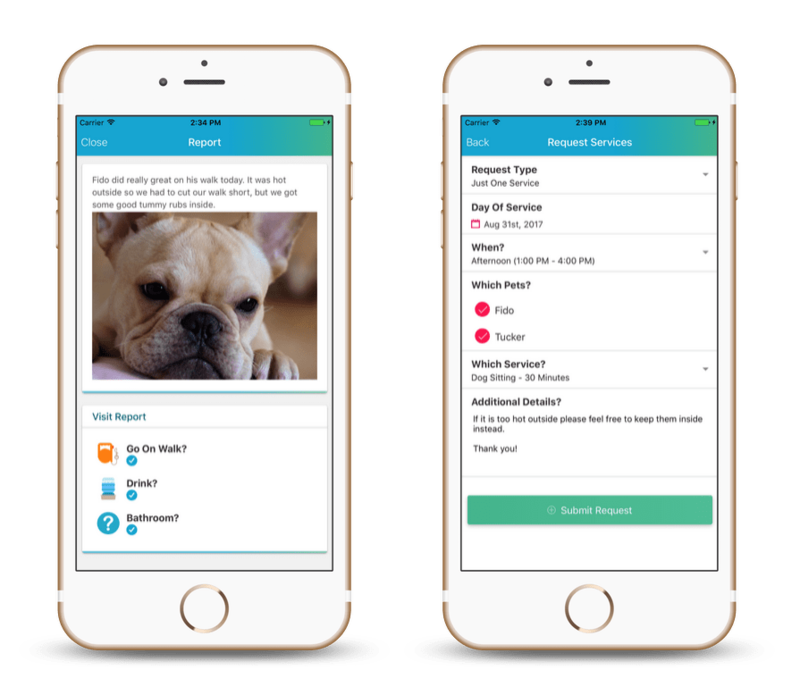 Clients can also download the Time To Pet App to request services, make updates or pay their invoice. You can can approve their requests and send updates and messages via email and/or text message as well. Time To Pet is modern pet sitting software. In addition to all of the powerful features you need - Time To Pet is based on high quality design. 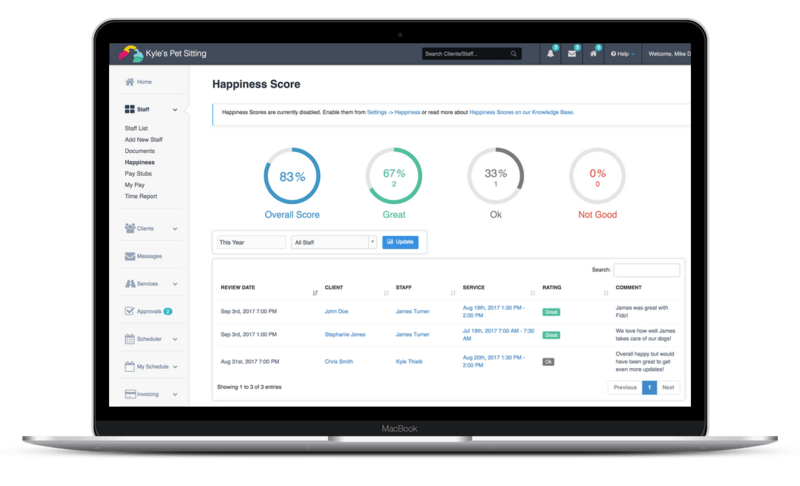 Working inside of your pet sitting software system should be clean and easy. Time To Pet makes scheduling events, creating invoices and running your business simple. Your staff can view their schedule, check-in and complete events from the Time To Pet mobile applications too. Time To Pet’s billing is easy. With tiered pricing, you are paying for 19 users when your business just has 10. Time To Pet does not do tiered pricing and only bills for staff who actually worked. We automatically calculate the active staff members each month and only bill for those that were active. Time To Pet does not nickle and dime our customers either. Our pricing is all inclusive and we provide free and unlimited support for both new and existing customers. Customer Support they way you would expect. Time To Pet wants to make our customers as successful as possible. That means if you have a question - you can quickly get it answered. We also do not charge for customer support. That includes initial customer support, data imports and extended customer support. We pride ourselves on our ability to learn from our customers. All of our best features came from suggestions from customers. We always want to know what our customers like, what they don’t like and what they think we could be doing better. We can you give you a full demo of Time To Pet, absolutely free. Made with by Sweet Spearmint Software.